Energy flows: How green is my solar? How long does it take to pay back the energy used in the production of solar + battery systems and how much of an effect do they have on the greenness of the grid? Renew’s Andrew Reddaway investigates. This article was first published in Issue 135 (April-June 2016) of Renew magazine. By generating clean electricity, solar systems reduce the amount of coal and gas that’s burned in power stations. This reduces pollutants and greenhouse gases released into the atmosphere, which cause disease 1 and man-made climate change2. Fossil fuels also require extractive processes such as fracking and open-cut coal mining, which have led to negative effects on the environment such as land degradation, water contamination and mine fires. It seems clear that installing a solar system will have a positive effect on the environment. But with several different types of system now available, including systems with batteries, how do they compare in terms of the environment? Many people are considering adding batteries to their solar systems as prices come down and more all-in-one systems become available. It’s a good time to examine greenness of solar + solar battery systems. Image: Fronius International. Since the grid has minimal energy storage, whenever your solar system is operating, a centralised power station will reduce its output to compensate. Each kilowatt-hour of solar generation reduces power station generation accordingly. In fact the benefit is even greater, as the power station must supply not only the end-user demand but also the losses incurred in the power lines, which can be over 20% for remote locations. Some people argue that because coal-fired power stations are inflexible, they’ll keep consuming coal at the same rate regardless of solar generation. Actually they are responsive enough; for example, Loy Yang A in Victoria can halve its output in less than an hour. Spread out over a geographically large area, solar systems’ overall impact is relatively gradual even when a cloud front arrives; this is forecast and managed by the grid operator in five-minute intervals. With enough panels you can generate more electricity than you consume over a whole year, with your night-time imports more than compensated for by your daytime exports. There are a variety of reasons to include batteries in a grid-connected solar system. Some of these systems are quite self-sufficient as they can supply your appliances during a grid blackout. With enough batteries and solar panels, imports from the grid can become rare events. However, adding batteries doesn’t increase your net impact on fossil fuel generation. Sure, you’re importing less from the grid at night, but on the other hand you’re exporting less during the day. Batteries also incur losses when charging and discharging, so your house will consume slightly more electricity than it would have without batteries. As battery prices come down, many people are now considering severing their grid connection. This is certainly the most self- sufficient option, but its uptake will be limited by expense—a full off-grid system might cost $50,000 for a typical household. Severing a grid connection has drawbacks from an environmental point of view. 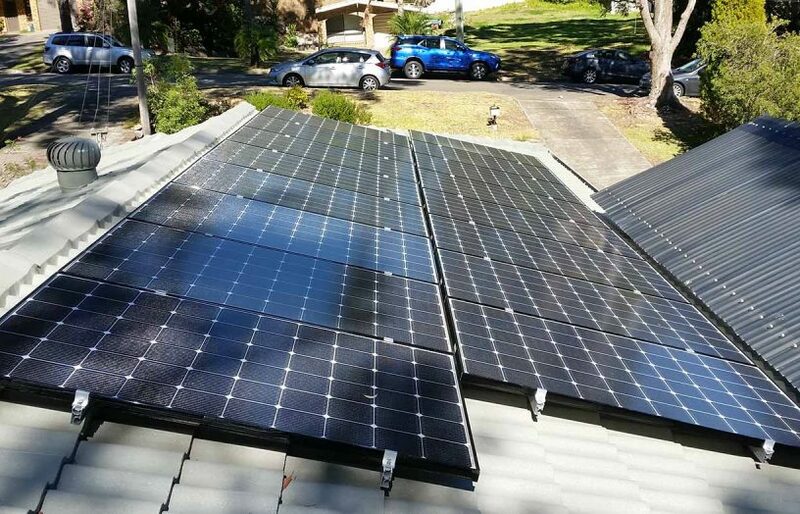 At current prices it makes sense to install a relatively large number of solar panels, to help supply the house during a cloudy week in winter or the wet season. Excess generation during sunny periods will be wasted as the off-grid system can’t export to the grid. Off-grid homes typically use diesel generators to get through the worst weeks, or to cover additional consumption such as guests. This small amount of fossil fuel use should also be considered. Where the grid is available, a grid-connected solar panel is greener than an off-grid one. Although it takes a lot of energy to create an off-grid solar system, estimating the overall green credentials of a rural off-grid home is not a simple matter. Renew has many members living off-grid in the country. Most commonly, extending the grid to their house would have been prohibitively expensive and would have consumed a lot of energy to construct and erect the poles and wires. Electricity is only one aspect of an off-grid rural lifestyle. 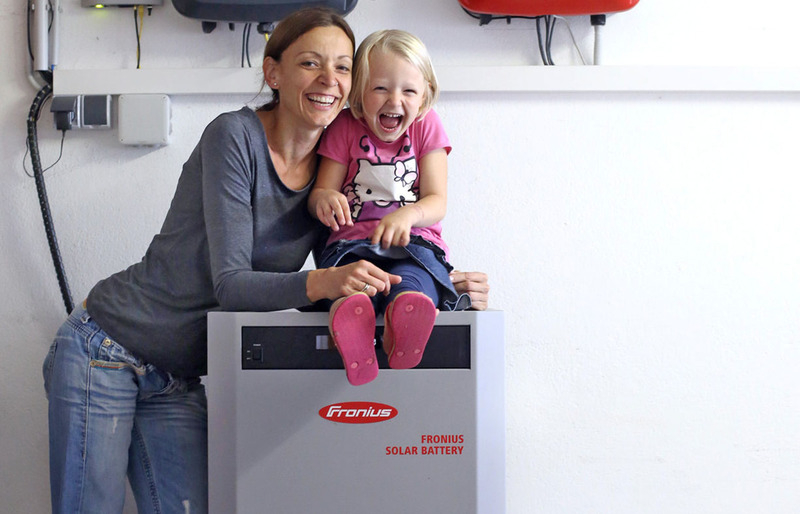 Families living this way tend to have very low electricity consumption, for example 5 kilowatt-hours (kWh) per day. They are often rehabilitating the landscape and locking up carbon in vegetation. Other environmental impacts are typically also low, depending on travel patterns. Left: Embodied energy for monocrystalline versus polycrystalline in kWh per kW (lower is better). Right: Embodied energy in kWh per kW of battery capacity (lower is better) for lead-acid batteries and lithium batteries. Manufacturing a solar system involves melting silicon for the panels and refining aluminium for the frames, among other things. Estimating the energy use is tricky, but the best information we can find indicates that creating a one kilowatt (kW) grid-connected solar system with monocrystalline panels consumes about 4200 kWh of energy, including an allowance for transport. 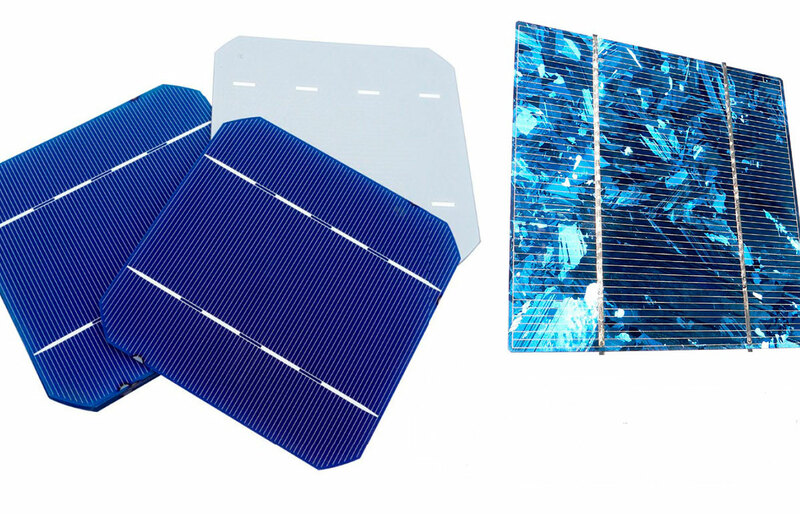 Polycrystalline panels are more frugal in their use of silicon; producing a one kW polycrystalline system consumes about 3700 kWh. These embodied energy estimates include energy used far upstream, such as mining of raw materials. Creating a battery requires quite a lot of energy too. The best estimate we can find is that manufacturing one kilowatt-hour ( kWh) of lithium battery storage uses about 454 kWh of energy. Lead-acid batteries require less energy to create (321 kWh), but more storage than lithium is typically required to deliver the same performance. We calculated the embodied energy of these three systems as about 16,700 kWh, 21,300 kWh and 28,000kWh respectively. Left: Individual components of embodied energy for moncrystalline in kWh per kW. 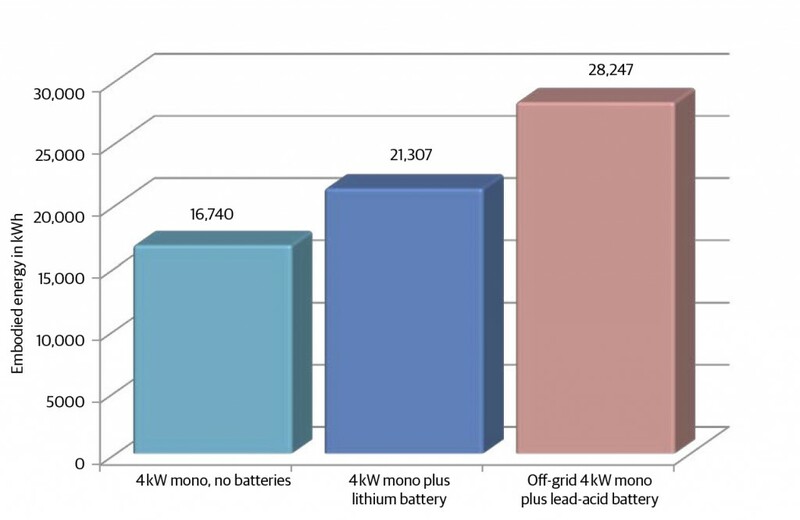 Right: Individual components of embodied energy for lead-acid (left) and lithium batteries (right) in kWh per kW. Although solar systems generate energy, they first require energy to produce them. This is like an energy debt that must be repaid. After it’s paid back, all further generation can be counted as positive for the environment. We used Sunulator to estimate annual generation of a north-facing 4kW solar system in 10 Australian locations; it was found to range from 5300kWh in Melbourne to 6900kWh in Alice Springs. We then estimated how much power station primary energy this solar generation displaces; for example, the thermal energy in coal. This is consistent with accepted practice in life cycle analysis. Burning fossil fuels to generate electricity is inherently inefficient; based on data from the Office of the Chief Economist, we assumed that each kWh of solar electricity generation displaces 3kWh of primary energy. This is conservative as it doesn’t consider extra fuel burned to make up for losses in powerlines. Payback periods were then calculated. 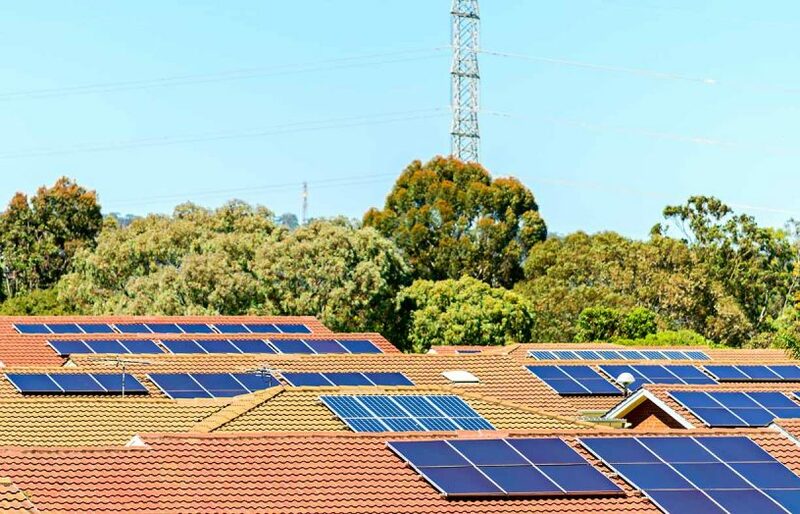 The system without batteries had an energy payback period ranging from 0.7 years for polycrystalline panels in Alice Springs to 1.1 years for monocrystalline panels in Melbourne. Since solar panels have an expected lifespan of at least 25 years, solar systems have a couple of decades of ‘green’ generation after achieving energy payback. Adding a lithium battery with a rated storage capacity of 10 kWh results in a longer energy payback period, ranging from 0.9 years to 1.3 years. This is slightly optimistic, as it doesn’t include extra grid electricity required to make up losses in the battery. The energy payback period of the selected off-grid system with 35kWh of lead-acid battery storage varied from 1.3 years in Alice Springs to 1.8 years in Melbourne. However, this is also optimistic, as it assumes all generation is used. As noted above, much electricity generation potential in an off-grid system is wasted. If only half the generation is used, then the energy payback time would be doubled. Also we haven’t included the embodied energy of the diesel generator as we couldn’t find data on this. Energy payback time in years for three different systems using monocrystalline panels (lower is better). If centralised generation in your grid is particularly polluting, your solar system’s environmental benefit will be correspondingly larger. On the other hand, if your system’s components were manufactured using very dirty energy, its embodied energy will be greater. Although the dirtiness of electricity generation varies around Australia, from Tassie hydro to Victorian brown coal, most states can share electricity via powerlines going over state borders. Due to these interconnections, it’s appropriate to consider Australian grid electricity as an average. WA’s grid is separate but similar in carbon intensity. NT is considerably cleaner than average, as it mostly relies on natural gas, but small disconnected grids (eg. Coober Pedy or Esperance) are generally dirtier, as they often rely on diesel. These days, most solar system components are made in China, which, like Australia, predominantly relies on coal for energy. Since China’s grid is approximately as dirty as Australia’s, the embodied energy comparisons used here make sense. However, if your solar system is manufactured in a greener part of the world, its embodied energy will be reduced; for example, it will be about one-third lower in Germany. Will batteries result in extra panels? It’s possible that when installing batteries, people will install more solar panels than they otherwise would have. Solar systems are frequently sized to meet daytime electricity consumption, a strategy that avoids large amounts of export and speeds economic payback. However, if a battery is included, it may then make economic sense to add extra solar panels to supply night-time consumption as well. If batteries prompt solar installations to increase in size, more fossil fuels will be offset. To me, it seems unlikely that this effect will be large, at least in the next few years. Current solar installations are already quite large, averaging 4kW, or about 16 typical panels. Bigger systems are more likely to be constrained by roof space or restrictions imposed by the local electricity distributor. And due to limited budgets, some people may reduce the number of panels so they can include a battery in their new solar installation. If you’re not constrained by roof space or budget, batteries can make oversized solar systems more attractive. An oversized system has a panel power higher than its inverter power, e.g. 6kW of panels on a 5 kW inverter. Good inverters can cope with this, and it’s a useful way to maximise generation if the distributor has restricted your inverter size to 5 kW. Most of the time weather conditions won’t be perfect so the panels will generate less than 5 kW anyway. But some of the time the panels will be able to generate above 5 kW, and without a battery this generation is ‘clipped’ and wasted. If we add a battery to an oversized system some of this clipped energy may be stored instead of wasted, increasing overall generation. This requires the ability to charge the battery separately from the inverter—not all systems can do this. Sometimes clipping will happen when the battery is already full, in which case the clipped generation is still wasted. To maximise the green effect of oversizing, rules can be setup to prioritise spare battery capacity during the best generation times, which may require a trade-off against bill savings. Will batteries spur people to consume less electricity? Many people have found that once they install solar, they are more conscious of their electricity consumption and so use less. On the other hand, some people’s energy consumption increases after a solar installation because it provides cheap electricity for air conditioning etc. The impact of home batteries on energy consumption behaviour is yet to be seen. Will my battery help to close coal-fired power stations? Solar systems take business away from fossil fuel generation, especially in the middle of the day when the sun is strongest. Along with improved appliance efficiency and other factors, this has meant that Australia’s grid electricity consumption has declined since 2008. This has already resulted in the closure of some smaller coal-fired power stations. Residential batteries reduce solar’s impact on power stations in the middle of the day, shifting it into the evening instead. Power stations receive a slightly better price for their electricity in the early evening peak, so their business will suffer a little more if batteries become common. However, this effect is quite minor; I don’t expect it’ll do much to speed up power plant closures. People also install batteries to make a statement expressing dissatisfaction with large energy companies. If enough households and businesses joined in, could they force policymakers to accelerate the grid’s transformation away from fossil fuels? My guess is that battery uptake will intensify the political effects of the solar boom that’s been underway since 2009. Politics is unpredictable; it’s hard to tell when a tipping point might be reached. Will my battery allow more renewables on the grid? Storage can contribute to a future 100% renewable grid, but it’s hard to attribute this ‘green’ effect to batteries installed today. The current crop of batteries can really only time-shift solar generation from times of excess to the evening. This does help the grid to digest solar exports, but in most states this is not yet a problem as solar generation is still minor compared to fossil fuel generation. And time-shifting is not very reliable. For example, while you’re away on holidays your battery will be sitting near 100% full and having very little effect on the grid. And if the grid’s peak day occurs in winter, many home batteries will have already been depleted by the peak time. In a renewable future, the main challenge is a cloudy, calm winter week. Battery storage to cover a whole week is prohibitively expensive, so it didn’t figure heavily in either AEMO’s or BZE’s 100% renewable reports.3 4 Instead they planned to over-size renewables, store energy in the form of hydroelectric dams and tanks of molten salt and also generate some electricity from biomass (crop stubble etc). Household batteries can help to plug gaps in the renewable grid’s electricity supply, but first they would need to get smarter. To make a reliable contribution, the battery would need to be remotely controllable, for example by the grid operator AEMO. Say an electricity shortage is predicted for Monday evening; AEMO could direct home batteries to charge up over the weekend, then discharge during the shortage. Households would forgo savings from time-shifting solar during such times, but would be compensated, perhaps via subsidies to the price of grid-controllable batteries. Note that South Australia already has a high level of solar (up to 30%) and wind generation (up to 100% of grid demand). SA’s coal-fired power stations will all be closed or mothballed by 2017, as they have not been able to compete with renewables and Victorian electricity imports. However, natural gas still remains a major fossil fuel for electricity generation. Embodied energy of three different solar energy systems. When building a new house on a block with no grid connection, it may be greener to go off-grid, because much energy would be required to construct and erect the new poles and wires, concrete footings etc. The embodied energy of this new infrastructure should be considered against the embodied energy of the alternative off-grid system. This also applies to entire new housing developments. It’s also possible for a grid-connected battery to avoid embodied energy in the grid. If the local electricity network is nearing its capacity at peak times, home batteries could be remotely controlled to discharge at peak times. This would reduce the peak and avoid an infrastructure upgrade. Can I help speed up battery development? Industries cannot be developed in a laboratory. Technologies to generate electricity from coal and nuclear fuel were nurtured by governments for decades before growing to their current scale. Relatively minor subsidies for solar panels spurred consumer uptake, creating economies of scale that developed the current solar industry. Home batteries seem poised to follow a similar path. Technology enthusiasts purchasing home batteries today should be encouraged, because they are helping battery manufacturers and installers to build capability and experience. This will help speed up the rollout of batteries in the future. Recycling schemes already exist for lead-acid batteries, so the figures in this article assume some of their materials have come from low-energy recycled products. 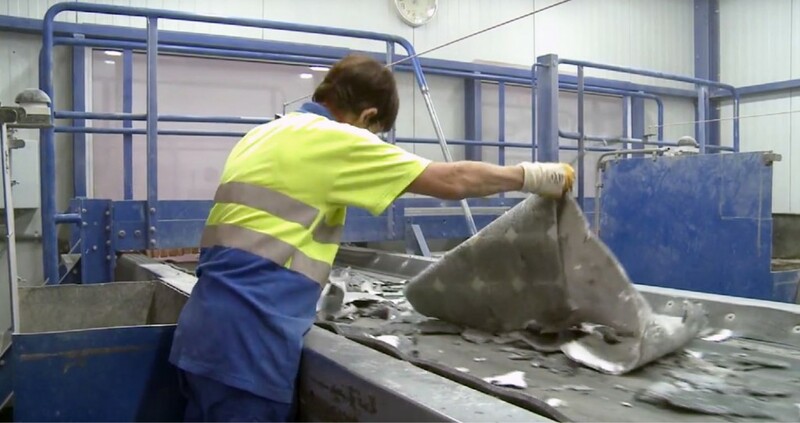 On the other hand, recycling is not included for solar systems or lithium batteries. Schemes are under development for these (see ‘Waste Not Want Not’ in ReNew 133). The figures don’t allow for energy consumed in the disposal of solar systems, but we expect that by the time a system sold today reaches the end of its life, facilities will be available to recycle it, reducing the energy consumed to create a new product. Another factor in the ‘greenness’ of a solar system is Small Technology Certificates (STCs). These have assisted nearly all solar systems installed in Australia—their effect is to reduce the upfront price of a solar system. These were set up as an industry development scheme and reflect the value of a solar system’s green electricity generation over 15 years. Some people consider that STCs cancel out a solar system’s environmental impact for the first 15 years of its generation. This argument held some weight in the early days of the scheme, but not since it was reformed in 2010 to ensure ‘additionality’. When you install a solar system you are increasing total renewables, so we can consider its generation as green. A grid-connected solar system without batteries is a very green option because excess solar is fed into the grid, reducing the damage caused by fossil fuels. It only takes around one year to generate the energy required to produce it. Installing a grid-connected battery generally doesn’t benefit the environment directly, but does help to develop economies of scale in battery manufacturing and installation which will assist our longer-term transition to a 100% renewable electricity system. In specific situations, batteries may have a direct environmental benefit if they assist an oversized solar system, avoid grid infrastructure construction or upgrades, or if they enable an off-grid lifestyle that helps the environment. 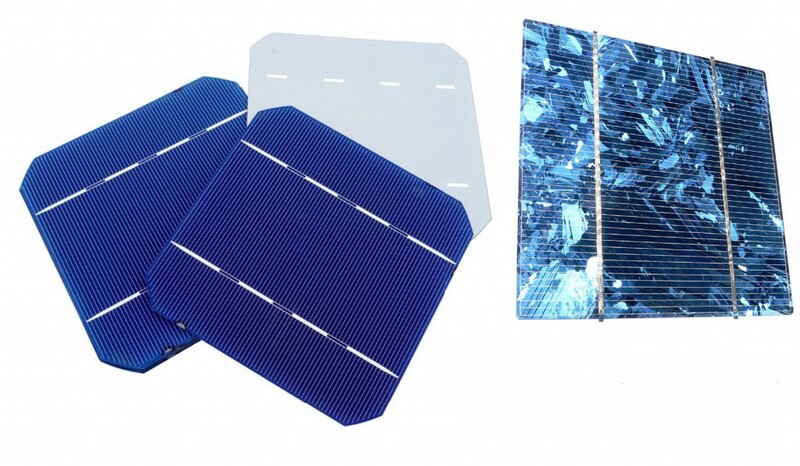 If you’re looking for the greenest solar system, polycrystalline solar panels are a better choice than monocrystalline because they take less energy to manufacture. You could also consider components sourced from a country or company with a relatively clean electricity supply, as these will have a smaller fossil fuel impact. Also you should plan to recycle the battery and panels at their end of life. Finally, solar systems should not be considered in isolation; we recommend looking at energy-saving measures at the same time as they’re definitely green and often more cost-effective. Andrew Reddaway is an energy consultant at Renew. 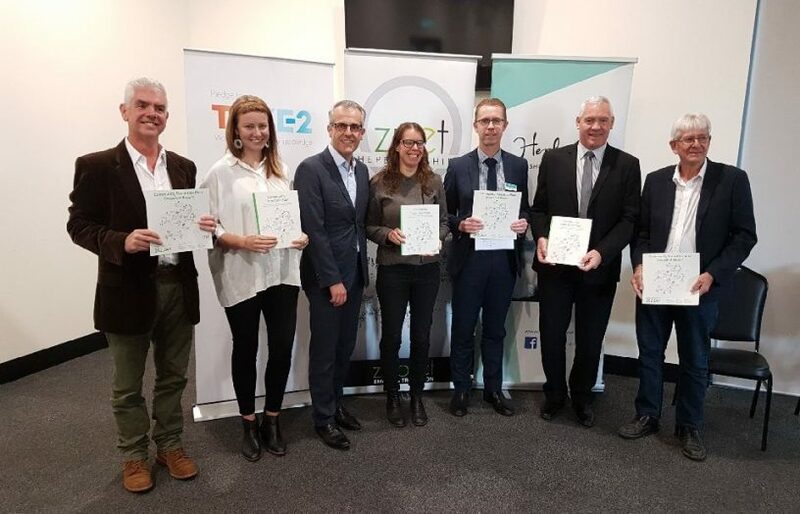 Renew acknowledges research for this article provided by John Weir, a Renew member, principal consultant at Engineering Essentials and Honorary Fellow at the University of Melbourne in the Department of Mechanical Engineering. This article was first published in Renew 135 (April-June 2016). 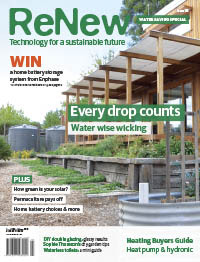 Renew 135 explores where households can save water, inside and out.